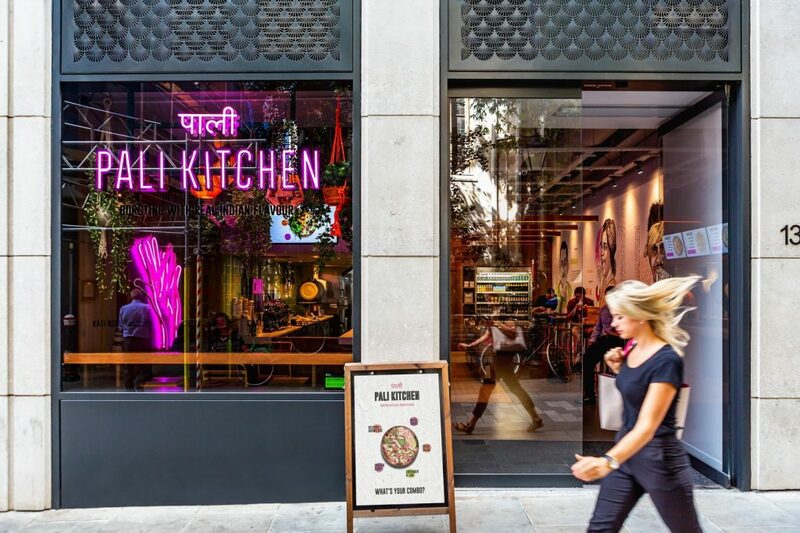 A new Indian ‘grab-and-go’ concept has made its way to the City of London with the recent launch of Pali Kitchen – complete with inspired branding by top international customer experience agency I-AM (www.i-amonline.com). 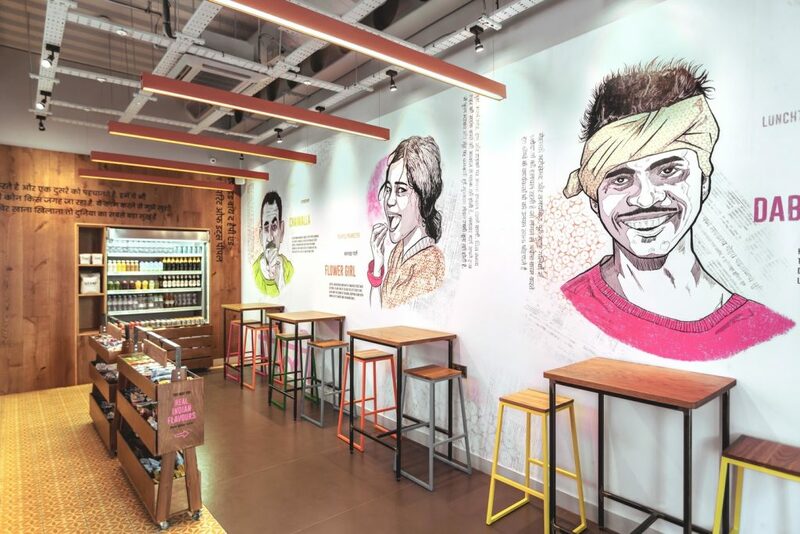 Located in Bow Lane, the new brand serves customers with staples such as curry and lassi while the inspiration behind the restaurant is to capture the authentic spirit of India by focusing on the expressions and gestures of its people. 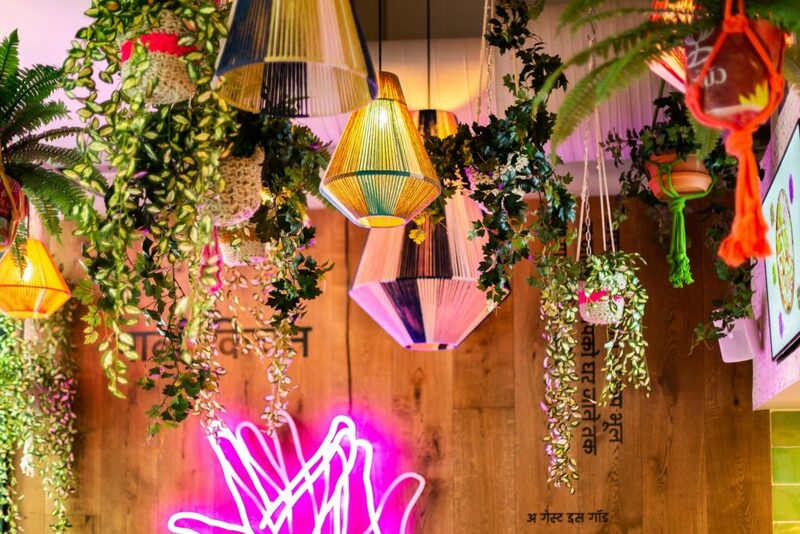 Pali Kitchen sounded out London-based I-AM with a brief to create ‘a leading fast-casual Indian brand in the UK’. The key objective was to change the perception of the Indian dining experience by moving away from being a traditional, seated and multi-course dining experience to a fast- casual food proposition. The entire offer is based on delivering a promise of great customisable dishes to everyone who wants a genuine ‘taste of India’. The main design inspiration focuses on the people that form the spirit of India, with an emphasis on the expressions and gestures used to communicate. This led to the development of iconic characters illustrated on the interior walls and printed across the packaging – from the ‘Dabbawalla’ representing the lunch delivery boy cycling through the bustling streets, ‘Chaiwalla’ the street tea maker and seller to the ‘Flower Girl’ symbolic of all the playful children. All these characters are accompanied by a note describing their day and sayings in Hindu that form short storylines – bringing the spirit of these characters to life within the brand experience. Another iconic graphic feature in the space is the purple neon Mudra hand sign, gesturing back and forth symbolising food and eating. The environment’s colour palette is led by a simple series of natural textured tones, topped with splashes of bright colours such as fuchsia, orange and lime inspired by India’s Holi Festival. The interior has been styled with a contemporary neutral-toned Indian aesthetic supported by cultural cues and bursts of vivid colours to create an open and welcoming environment. The design adopts a flexible concept for a potential local roll-out to future sites. I-AM, headquartered in Shoreditch, and with overseas offices in Istanbul, Dubai and Mumbai, has a portfolio of clients in many sectors including retail, banking, fashion, estate, telecom and tech, showrooms, education, transport and destinations – as well as food and drink.